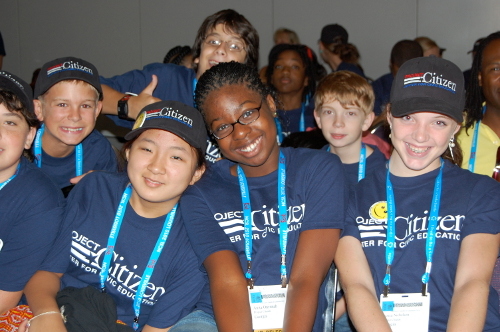 Outside the traditional classroom, Project Citizen is used by after school programs, youth organizations, home school consortiums, and the Juvenile Justice system. Project Citizen is also used in post-secondary classrooms, such as in community college and university courses, and with adult groups, such as Families in Schools. Project Citizen students also work on projects together using distance learning tools. For more information on using Project Citizen outside of the traditional K-12 classroom, contact the Center at projectcitizen@civiced.org. From 4H Clubs in Georgia to Girl Scout Troops in Washington state, youth organizations have embraced Project Citizen. State and local offices of the Juvenile Justice System use Project Citizen with incarcerated youth. Empowered, these students have presented their work to government officials including California State Legislators in Sacramento. 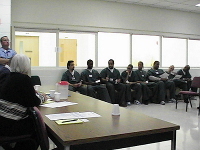 Additionally, program leaders in Wisconsin have worked with adult inmates (as photographed) using the Project Citizen model with great success. 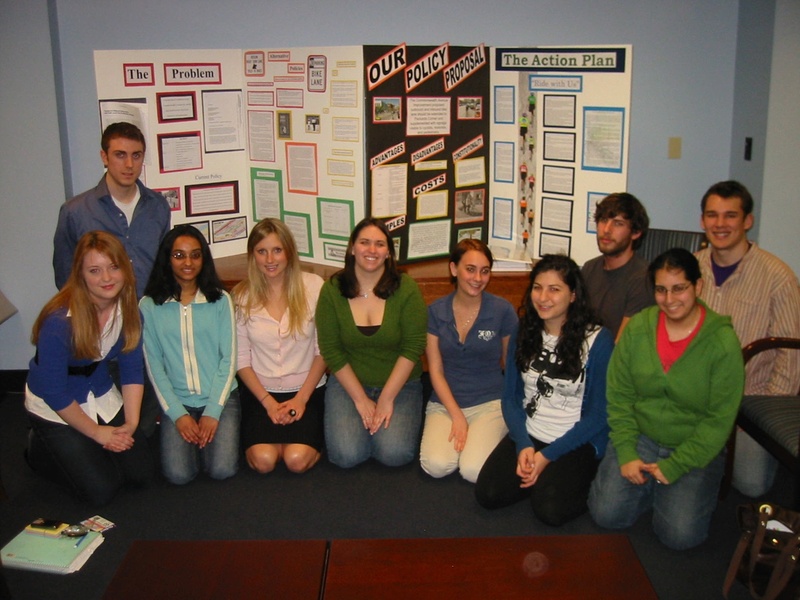 Project Citizen has been used in community colleges and universities such as at San Jose State where Dr. Larry Gerston implemented the program. In the community, Project Citizen has been used with adult populations such as parents. To view the Project Citizen Parent Supplement, visit this page. 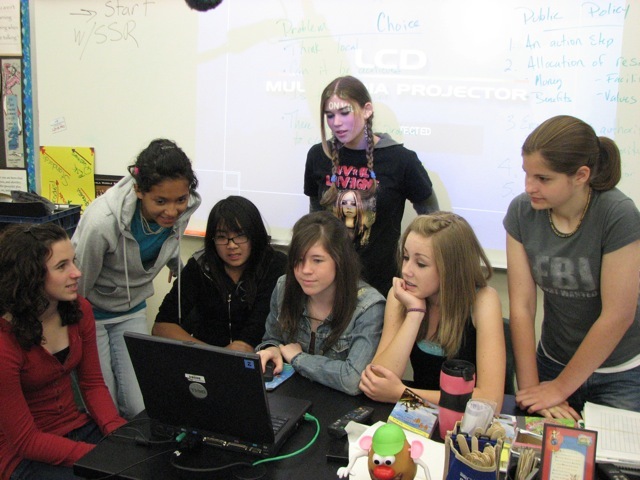 Using current and emerging technologies, Project Citizen has connected universities and middle schools in collaborative Project Citizen work. Home School Consortiums have also used Project Citizen. For more information, contact the Center at projectcitizen@civiced.org.